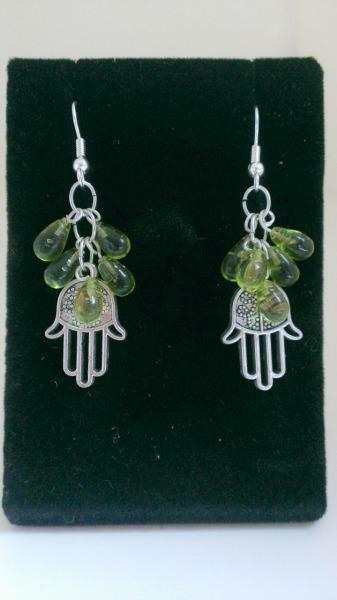 These Arabesque hamsa earrings have 5 green glass beads cascading down from oval rings hanging on the earring post. 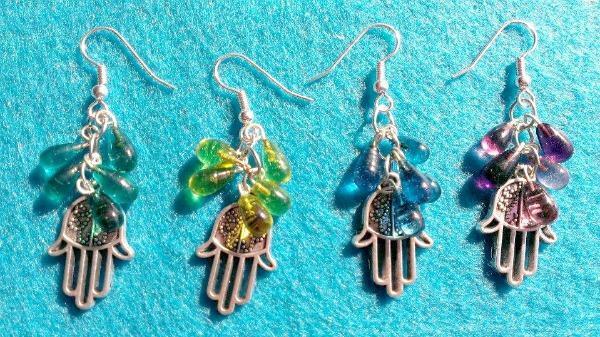 Picture #5 shows the back of the earrings and picture #6 shows available colors of the glass beads. 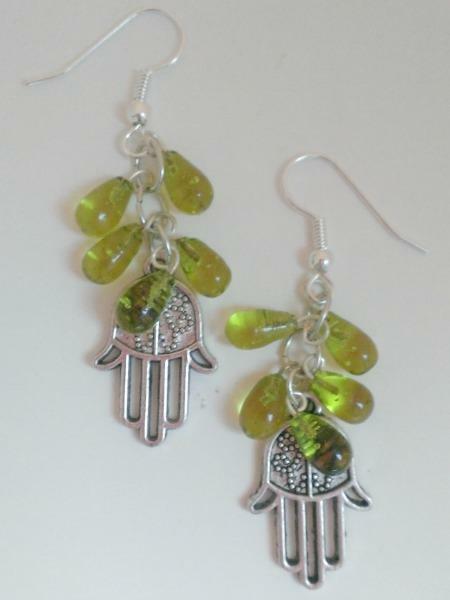 Please specify color for your choice of your pair of earrings when placing order. 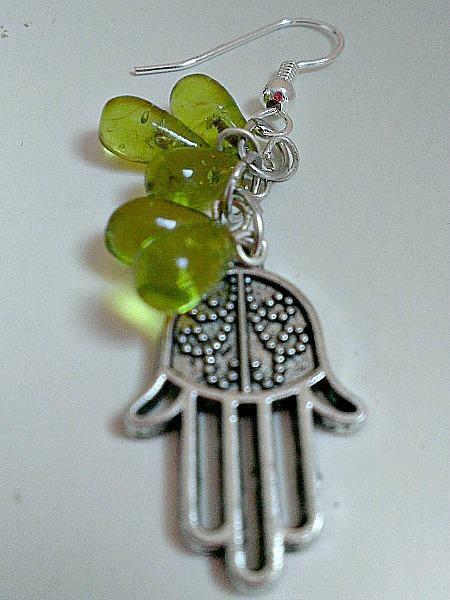 The hamsa (Arabic: خمسة meaning five) is a palm-shaped amulet popular throughout the Middle East and North Africa. 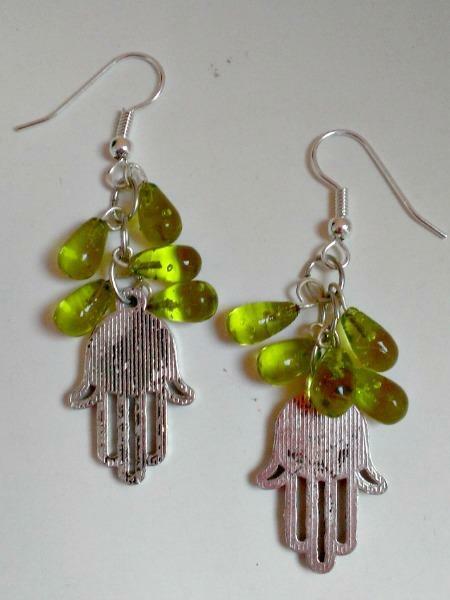 The hamsa is used as a superstitious defense against the evil eye. 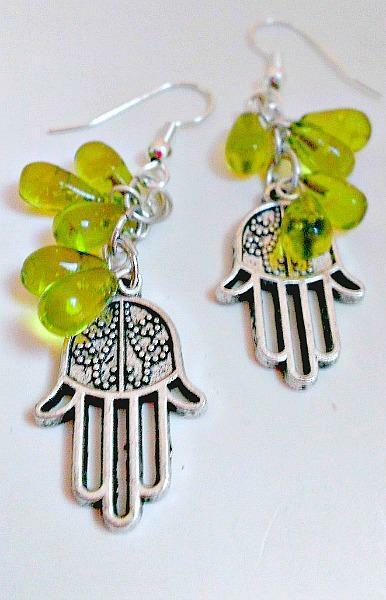 Another Arabic name for the hamsa (or khamsah) is the hand of Fatima, commemorating Fatima Zahra, the daughter of the Prophet Muhammad (Pbuh).